According to this July 31st story over at Fox News, US Immigration and Customs Enforcement agents in Portland, Oregon have accused Portland Mayor Ted Wheeler of ordering police to not only stand down but encouraged them to openly express support for the 'Abolish ICE' protesters who'd been gathering at the ICE headquarters in Portland to support illegal immigrants. With the accusations outlined in a cease-and-desist letter sent to Wheeler claiming he actively encouraged the protesters and their cause while making sure that the Portland police didn't crack down upon them, ICE agents report that Wheeler's actions created a zone of terror and lawlessness according to this story over at The Hill. Why are Portland police refusing to assist ICE as was reported in this new story? While Chris Crane, president of the National ICE Council, claims that Wheeler quite literally "turned the lives of our employees over to an angry mob", we find it very concerning that Portland's Mayor Wheeler has seemingly picked a side in what could be the next Civil War in America, one that could easily start with Portland, Oregon the very 'flashpoint' that fully ignites the timber. 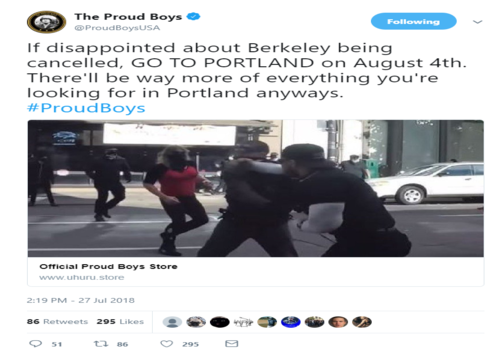 And with Antifa terrorist groups there now calling for 'direct confrontation' with a Patriot prayer group on Saturday, August 4th being put on by the peaceful patriot group called the "Proud Boys", it's a bit more than concerning that several Antifa members have discussed bringing guns to their 'protest' for a 'direct confrontation'. What could possibly go wrong? With Portland's mayor already proving that he supports the rights of protesters over the safety and rights of ICE to do their jobs and return home safely to their families, all eyes should be on Portland this weekend with what will surely at least start out as a peaceful prayer rally though events of recent history prove it probably won't stay that way with members of the peaceful prayer rally on June 30th attacked by antifa terrorists with flash grenades. With some members of the peaceful patriot groups nearly always bringing guns to their rallies and now Antifa members pledging to bring guns to their protest of the Patriot prayer group rally, could a sudden clash between these two groups start a violent and uncontrollable chain reaction nationwide that spreads like wildfire? We pray for peace and a return to sanity in America. Yet as Susan Duclos reported Tuesday on ANP, while the mainstream media whines about being correctfully labeled 'the enemy of the people' by President Trump and his supporters for turning their backs upon their jobs of truthfully reporting the news to turn into 'deep state, Hillary Clinton' propaganda agents, they totally ignore how much violence and harassment their own rhetoric has caused to President Trump employees and Conservatives in general. 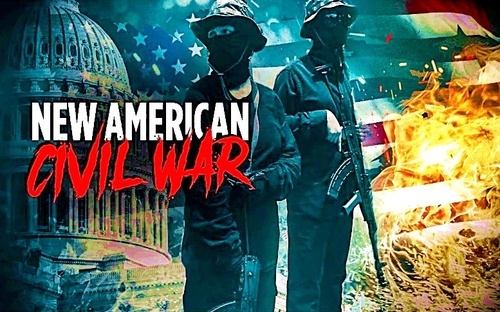 And with many warning that the next 'civil war' in America is surely unavoidable, we could soon reach the next stages of that 'war' should Portland, Oregon turn ugly this weekend and deadly violence break out. Certainly if it does due to the Portland police once again being ordered to stand down, Portland's mayor Ted Wheeler will have blood on his hands. 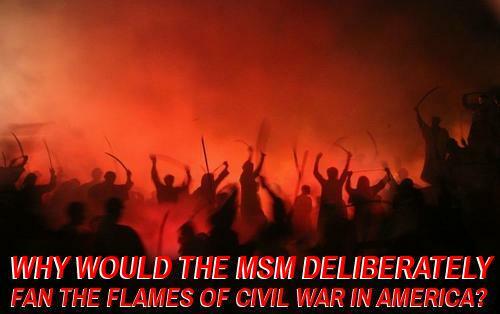 In this June 29th story over at the Organic Prepper they ask if the mainstream media is deliberately trying to spawn 'civil war 2.0' with endless and breathless headlines about 'how bad the other side is' while neglecting to mention anything about their own role in dividing America and bringing us to the breaking point we're now at. While the left continually points fingers at President Trump for dividing the country, the fact of the matter is, America has been quite divided for a very long time, well back into the Obama administration. Yet we have to ask, is the massive division that we've been witnessing in America simply part of the globalists overall agenda for the entire world, 'divide and conquer'? With a global war upon Christianity happening at the same time as white farmers being slaughtered in Africa and whites being demonized in America, we can't forget anti-white comments and race-war rhetoric long spewed by people such as the Reverend Jeremiah White and Louis Farrakhan. And with a time-tested Communist overthrow model now being played out in South Africa where even the South African parliament recently passed a motion saying it will consider amending their constitution to allow the government to seize farmland of white farmers without providing compensation, how long could it be until the South African model becomes in play here in the US? Certainly only a Donald Trump presidency prevented open borders and a worst-case-scenario unfolding here in America should Hillary have won. And what about the corrupt faction of the deep state that has seemingly quite literally 'declared war' upon President Trump and his 'America 1st' agenda? If that corrupt faction is the same group that plans, enables and/or helps to carry out false flag events such as what many believed happened in Las Vegas, how long might it be until professional deep state assassins are unleashed upon American patriots should civil war break out? As Steve Quayle tells us, as the hatred for President Trump and his supporters continues to increase with the mainstream media enabling and pushing that hatred, the more and more likely we'll come to that 'flashpoint' where someone is hurt or killed, possibly even women and children. And should Americans ever get to the point where they overwhelmingly feel that they won't be protected during peaceful gatherings such as prayer rallies from the maddening left, they'll take matters into their own hands. And while we pray that it never comes to that, how much will peaceful, law-abiding American Patriots and President Trump supporters take? And remember the prophecy of Dumitru Duduman who warned long ago that when America was divided and fighting amongst ourselves, we'd be ripe for an invasion by China and/or Russia: "In one day it will burn" he was told of America. 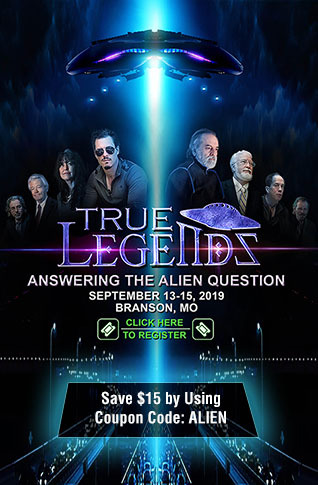 Are we being set up for the fall, a divided America now 'ripe for the picking'? 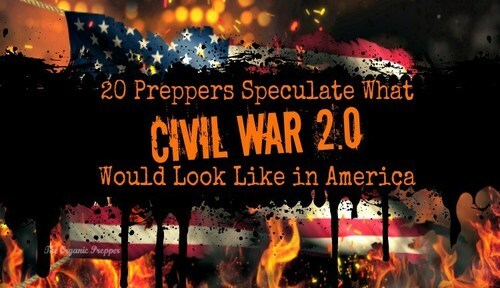 Back in August of 2017, the Organic Prepper published a story titled "20 Preppers Speculate What Civil War 2.0 Would Look Like In America" within which they reported the division in America was now so dramatic that many people could foresee it headed in only one direction: Civil War. And it's gotten much worse since. Warning within their story that the pronounced uptick in violence against peaceful President Trump supporters was only worsening, since that story such incidents of violence and harassment have reached epidemic proportions, with well over 500 attacks now against Trump supporters and those numbers growing every day. 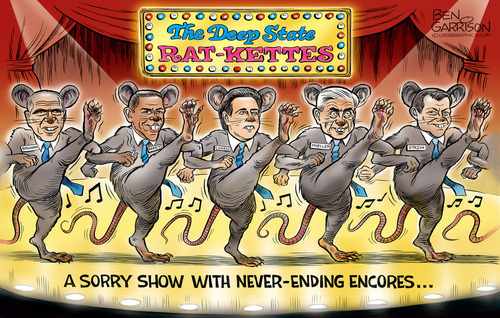 And with members of the 'deep state' openly calling for sedition against the Trump administration and absolutely nothing seemingly being done about what appears to be open rebellion against the lawfully elected government of President Donald Trump and the United States, might peaceful, law-abiding Americans soon take matters into their hands should supporters of President Trump continue to be abused, attacked and treated like 2nd-class citizens? Surely should violence break out upon peaceful, law-abiding Americans holding a peaceful prayer march in Portland, Oregon on August 4th and law enforcement be ordered by Portland's mayor to once again stand down, a message will have been sent to tens of millions of well-armed and peaceful Patriots all across America. Each of the videos below take a look at the upcoming 'Proud Boys' peaceful prayer march in Portland, Oregon on August 4th from different angles so once again, we pray for the return of peace and sanity to an America that looks broken.